If it was possible, anything on Earth could be tagged with a validity period, starting at a certain point and ending at another. Each of these validity periods, variable and of uneven importance implies two metaphors: an obvious validity period of life, and a reminder of destiny’s uncertainty. For Xu Zhen (MadeIn), Yang Fudong and Yang Zhenzhong, these extended meanings form a common but free way of understanding the world. In 2000, “Useful Life” reflected three young artists’ impulsions, enthusiasm, desires and dreams. Their experimentations and explorations of visual works, their brimming energy and excitement, seem to have crossed the barrier of time and remain in our memories. 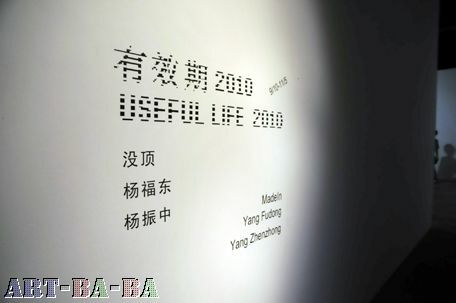 “Useful Life 2010” is more a challenge rather than a continuation. The art environment, artists’ creative concepts, their ways of expression, even their identities, all changed. How to face a new context, how to find one’s place? The exhibited works represent these artists’ responses to these issues. 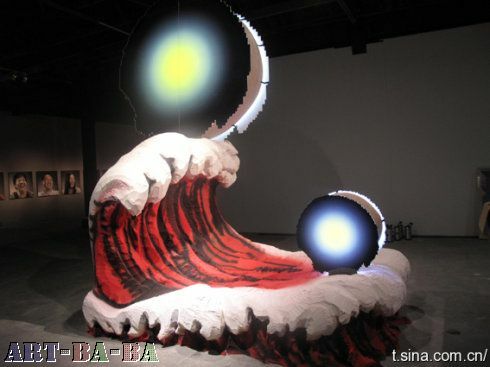 They share each other’s thoughts, forms and rhythms, in an analogous way to their creators’ different life attitudes. Yang Zhenzhong: the term “Useful Life” includes many meanings. For me, every means have an aim, which is valid for a certain period, a certain stage, or in response to a certain issue, then it expires after a certain date. In other words, each issue doesn’t have a permanent solution. Death isn’t a solution either. 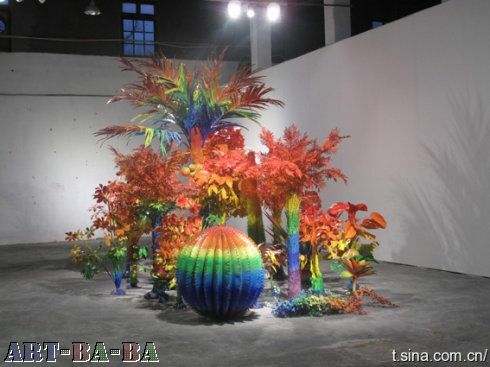 About the new works in “Useful Life 2010”? Yang Fudong: “The Fifth Night” was shot with seven cameras, seven moving lenses forming one large screen. In 2008, “Dawn Mist, Separation Faith” was based on a simple concept, which was to take some elements from the shooting process as a turning point in film production. “Dawn Mist, Separation Faith” is focused on the NG in the film, in “The Fifth Night” the main creating element was to use various lenses shooting from different angles. Therefore, we rented seven cameras, using different scales, depths, moving ways to realize a seven screen’s projection. As for “Dawn Mist, Separation Faith”, we invented the word “Film Glimpsing”，which means that when you enter in an exhibition room, nine screens are functioning at the same time, so as you glimpse your are also observing, that is what we call “Film Glimpsing”. This time when we filmed, we used seven lenses that the viewers will be able to experiment; we called that “multiple eyes film”, in some way it is the same as “Film Glimpsing”. The new experiences we had when shooting was how to do something perfect when lenses are moving, are the random things in it beauty as well, but randomness can’t be created; also when shooting, the cameraman’s adjusting process of the machine, are there any beauty in those adjustments as well; actors never worked with seven cameras before, for example, the first lens shoots a room corner, slowly moving, actors walk in it, as they enter the second field, in the second monitor, half of the body will appear, at the third machine, the size of the person will be reduced, these kind of changes might be very strange for them as well. I thought of how to present the feeling of time in synchronized filming, I think this is related to the understanding of space; what would happen when seven cameras are moving? This randomness, is what I’m interested in. Randomness can’t be predicted. Another series of photographs, is called “International Hotel”. It was inspired from sport games, swimming competitions, the moment when the hand comes out from the water, the moment when they took their goggles off, turn their head and laugh, this kind of feelings of beauty! MadeIn Company: Vigy (left), Xu Zhen (right).